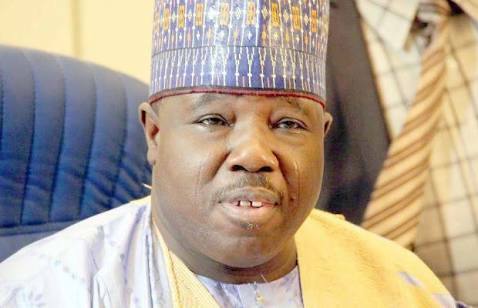 OrderPaperToday – National Assembly members of the Peoples Democratic Party (PDP) have said the only way they can queue up behind the Ali Modu Sheriff-led national leadership is for it to accept a peace template endorsed by all organs of the party. 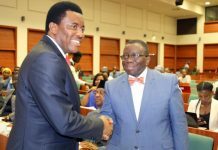 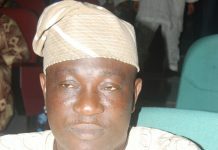 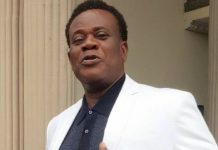 The members in the Senate and House of Representatives gave this position on Wednesday when the Governor Henry Seriake Dickson-led peace committee visited them at the National Assembly. 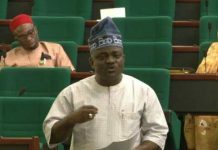 Minority Leader in the House, Mr. Leo Ogor who raised this condition at the meeting, said in accepting any peace initiative all organs of the party must agree on the peace template and must be willing to abide by every agreement reached. 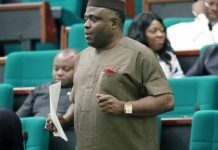 Senator Godswill Akpabio, Minority Leader in the Senate, corroborated the point made by Ogor and stressed that the PDP can still wrest power from the ruling All Progressives Congress (APC) in 2019 if the conditions are met and the current crisis rocking the party is resolved. 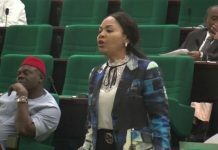 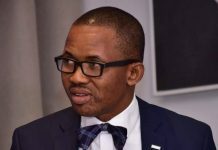 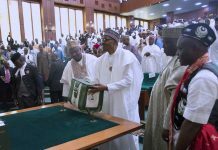 He however told the visiting panel that the party’s caucus in the Senate will study the contents of the report and come up with an official position on the issue. 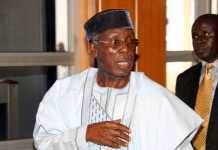 As an aftermath of the intra-party crisis, the PDP House caucus had repeatedly vowed not to support Sheriff-led faction of the party, but instead, pledged their loyalty to Ahmed Markafi-led Caretaker Committee.